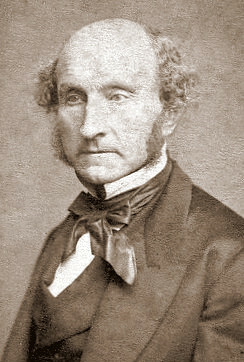 John Stuart Mill was a philosopher, economist, and pioneer of utilitarianism. 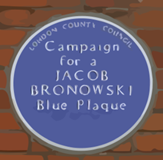 Son of the utilitarian philosopher and Benthamite reformer James Mill, he was early exposed to anti-religious thought and claimed in his autobiography that he did not ‘throw off religious belief but never had it’. However, it has been asserted that he struggled more with the issue of faith than this characterisation suggests. While his application of the utilitarian method to the issue of religion told him that Christianity was socially damaging, he certainly wondered of its psychological necessity and believed in its indispensable role in the development of mental and cultural processes. Mill discovered Jeremy Bentham’s Principle of Utility at fifteen, adopting it as his ‘creed’, but he found that the utilitarian drive to social reform did not satisfy his need for personal happiness and he embraced music, art and literature as an emotional outlet and something of a proxy for religion. His first writings on religious issues, five letters written in reaction to the prosecution of Richard Carlile for blasphemy in 1823, published in the London Morning Chronicle, defended freedom of speech enthusiastically, also questioning the claim that Christianity has a role as a moral arbiter. However, he stopped short of prescribing atheism, describing religion as satisfying a human need. His 1831 collection of essays The Spirit of the Age was also restrained in its approach, looking at religion’s place in contemporary society and not attacking religious faith itself, but taking issue with organised Christianity and its social effects. In the 1840s Mill adopted a version of Auguste Comte’s idea of a ‘religion of humanity’, claiming that theistic religion was an expression of essentially human feelings, although it disguised these under distorting mystical illusions. Mill felt that this idea would provide the sanction for a society governed by utilitarian principles and was hesitant to attack religion out of hand for fear of scaring off potential ‘converts’ to utilitarianism. Mill’s posthumously published Three Essays on Religion, written during the 1850s, were the ultimate articulation of his religious thought and in his essay, Nature, he asserted that ‘if the maker of the world can all that he will, he wills misery and there is no escape from the conclusion’. This essential questioning of the benevolence and omnipotence of any possible divine being was complemented by an examination of the power structures of religion and its use of authority to manipulate in his essay Utility of Religion. In his third essay, Theism, Mill put forward an agnostic view on the existence of god and, ultimately, he never fully resolved the issue of his religious views, preferring constant re-examination of his beliefs to any subscription to dogma, religious or otherwise. Between 1865-8, Mill was Member of Parliament for City and Westminster during which time he advocated easing the burdens on Ireland, and in 1866 became the first person in Parliament to call for women to be given the right to vote. Today a bronze statue of Mill stands on the Thames embankment in London.